White on Blue advertising enamel sign. 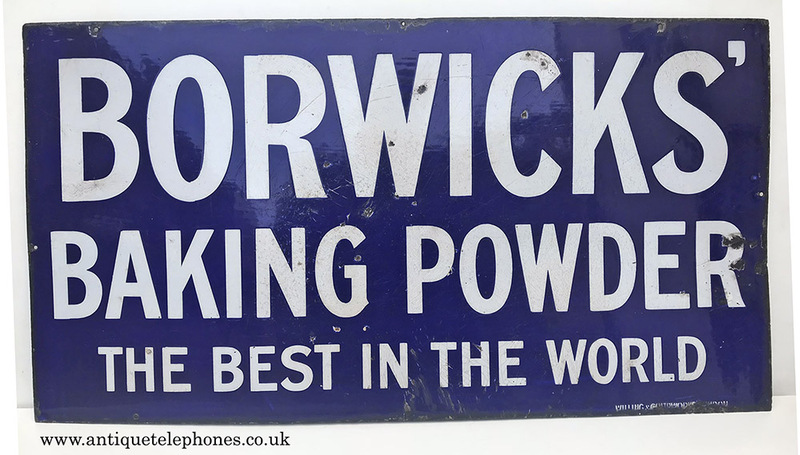 "Borwick's Baking Powder"
<< Back White on Blue advertising enamel sign. "Borwick's Baking Powder"
This is a beautiful enamel sign 30 X 16 Inches. A stunning white on blue enamel sign. "Borwick's Baking Powder The Best In The World"
What a beautiful sign and in very good condition with only minor chipping etc. Very good colour. A great display piece. 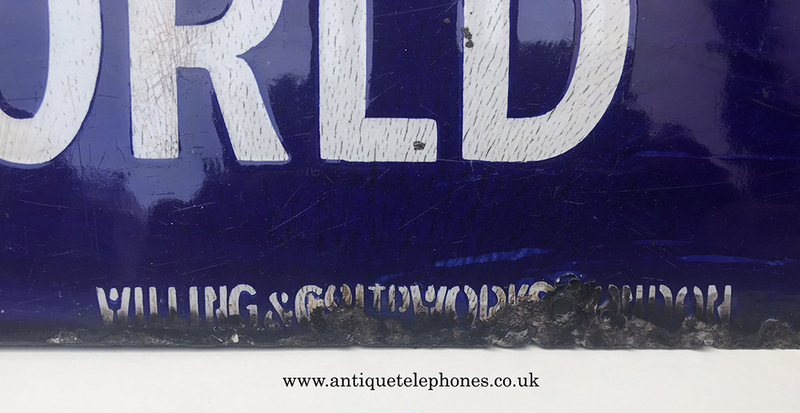 OK I know its not telephone related but I cannot resist enamel signs and have always loved them. See video and pictures showing the condition for yourself. See the condition using the video to asses the condition for yourself.